For the first time ever, astronomers have detected a 1.3 km radius body at the edge of the Solar System. Kilometer sized bodies like the one discovered have been predicted to exist for more than 70 years. These objects acted as an important step in the planet formation process between small initial amalgamations of dust and ice and the planets we see today. 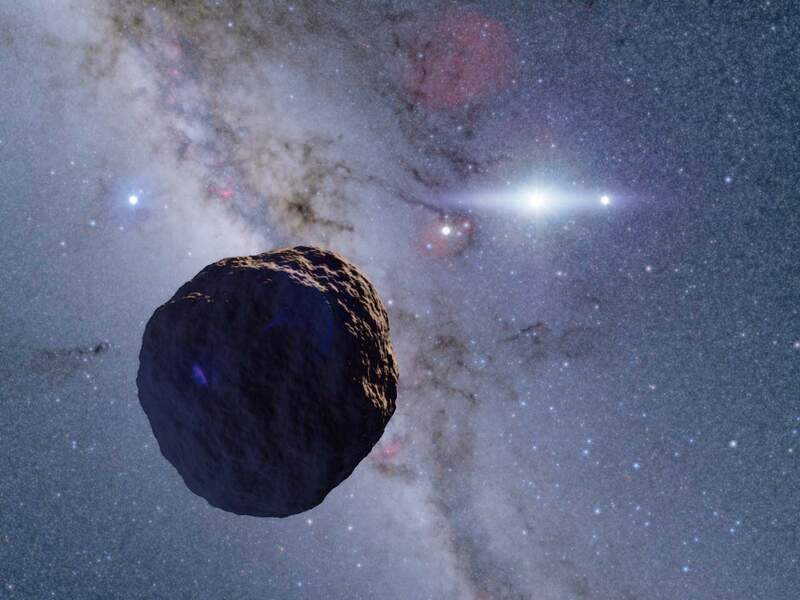 Edgeworth-Kuiper Belt Objects with radii from 1 kilometer to several kilometers have been predicted to exist, but they are too distant, small, and dim for even world-leading telescopes, like the Subaru Telescope, to observe directly. So a research team led by Ko Arimatsu at the National Astronomical Observatory of Japan used a technique known as occultation: monitoring a large number of stars and watching for the shadow of an object passing in front of one of the stars. The OASES (Organized Autotelescopes for Serendipitous Event Survey) team placed two small (28 cm) telescopes on the roof of the Miyako open-air school on Miyako Island, Miyakojima-shi, Okinawa Prefecture, Japan, and monitored approximately 2000 stars for a total of 60 hours. This research was made possible by grants-in-aid from the Japan Society for the Promotion of Science and the support of the Miyako open-air school and the local community in Miyakojima-shi.